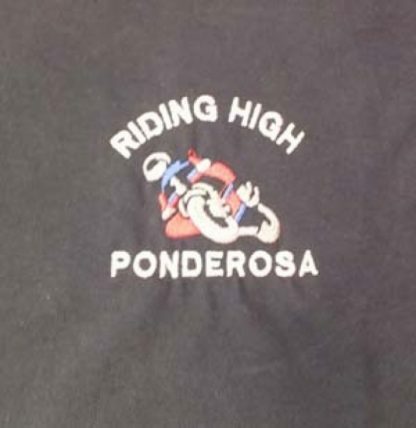 Ponderosa biker t-shirt embroidered with ‘riding high, Ponderosa’ logo. 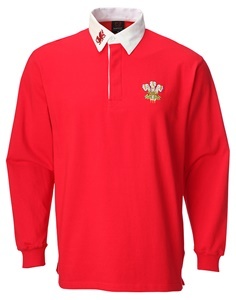 Quality, black t-shirt sporting a ‘Riding High Ponderosa’ embroidered chest motif. 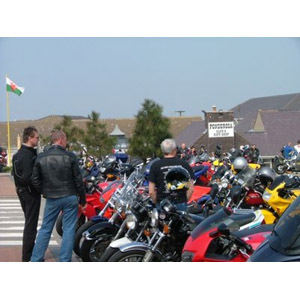 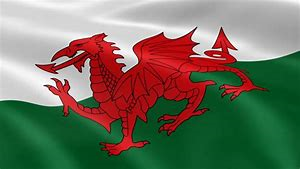 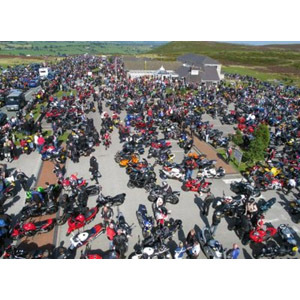 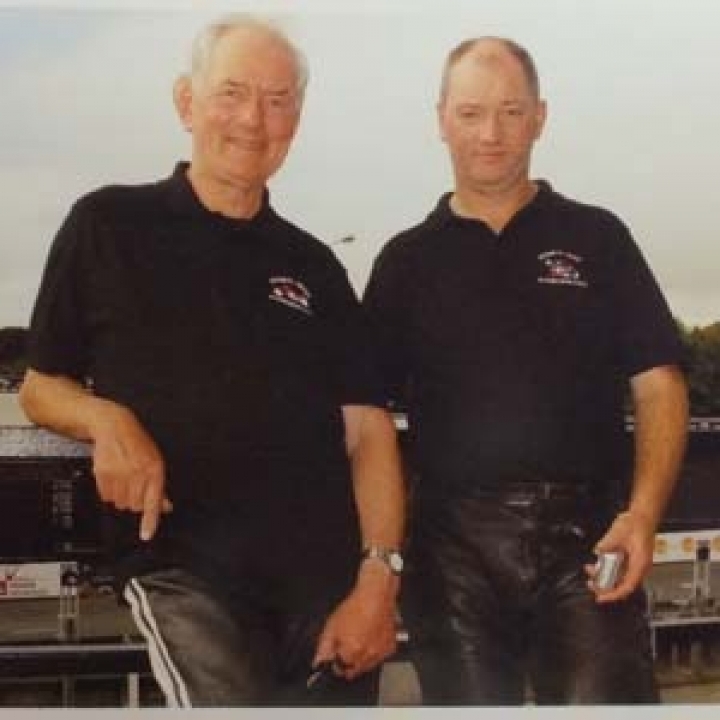 It’s a MUST for all bikers that visit the Ponderosa Cafe on the summit of the famous Horseshoe Pass, North Wales. 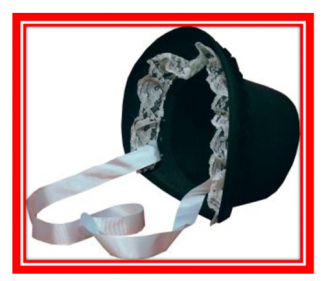 If you forgot to purchase one at the Shop In the Clouds gift shop, then you can order one from here! 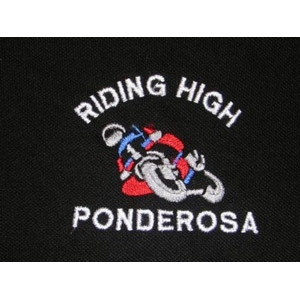 Embroidered ‘Riding High Ponderosa’ chest motif.